Devices from Apple, the bulk of us completely satisfied, although some aspects we would like to strengthen in accordance with the specific needs of users. For this there are a large number of accessories, many of which our readers may not even guess. To educate, we decided to open a new section in which we will tell you about low-cost accessories and devices from China that can give us what we hardly ever get from Apple itself. For starters, just note that the category is not advertising, because we have no commercial relationships with suppliers of the described products. In addition, we do not encourage you to buy those products, as we discuss: wandering through the online stores, you can purchase an item that you want more. Our goal is to tell you about the existence of these accessories. Don’t get confused by links to Chinese stores do not always perfectly Russified. These online shops in Russia in recent times are no worse than domestic, and offer free shipping, insurance packages and a money back guarantee. So, today we dedicate this important incarnation of the iPhone, like the photo. Yes, the camera of the smartphone from Cupertino with each passing year it only gets better, but the accessories that can move the resulting images to a new level, is also regularly being improved. So if you want to turn your iPhone into a powerful tool for photography, without third-party accessories you are unlikely to do. 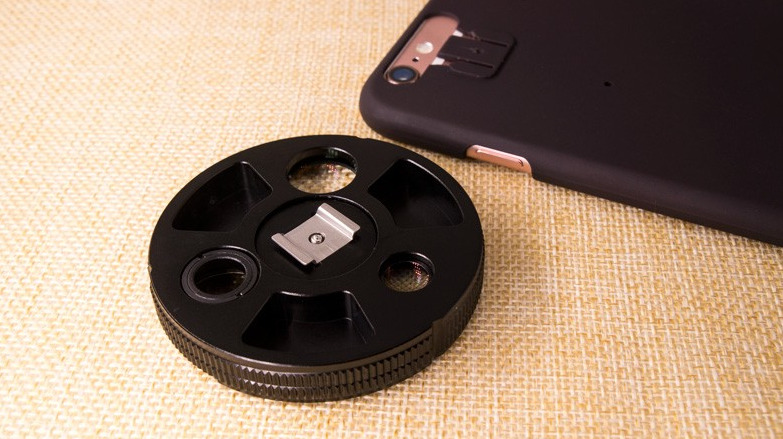 If you often shoot from afar and you are not a digital zoom the camera of your iPhone, this universal detachable lens enables you to zoom in on areas of the frame without losing quality. The thing is that the lens provides a nine-fold optical zoom, which many photographers would be more than enough. 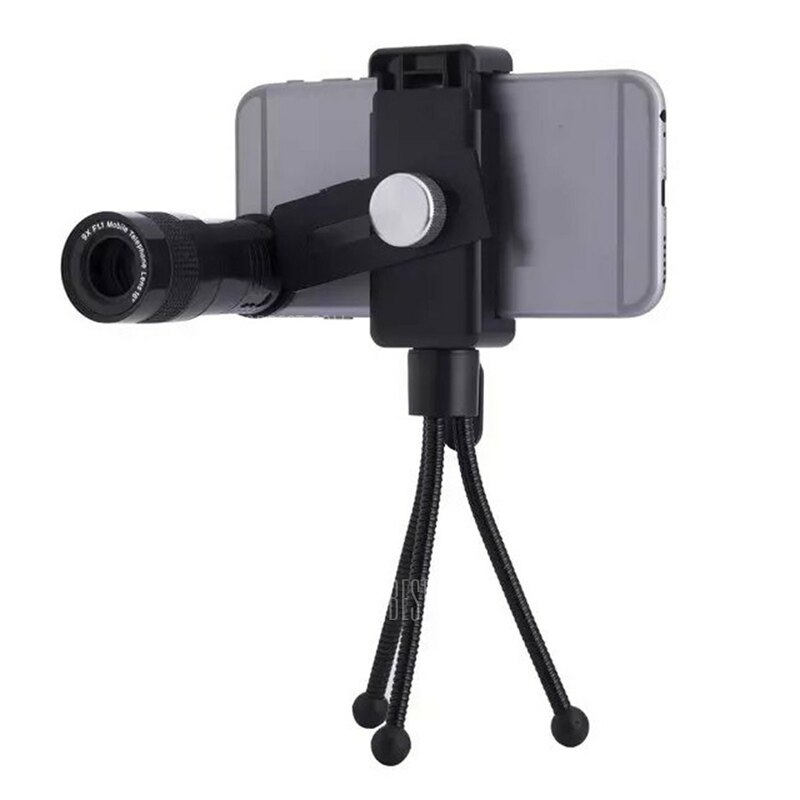 The kit is a mount to the iPhone 6(s) and iPhone 6(s) Plus a simple tripod, thanks to which you will be able to shoot steady videos with optical zoom. There is such a thing 871 ruble and available at this link. 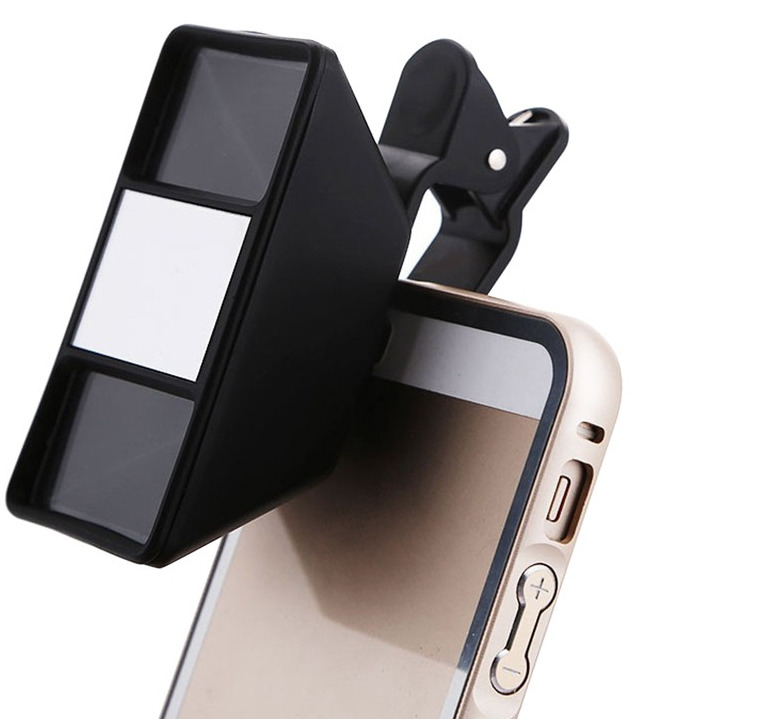 And this accessory allows you to take more quality shots and videos in low lighting conditions. 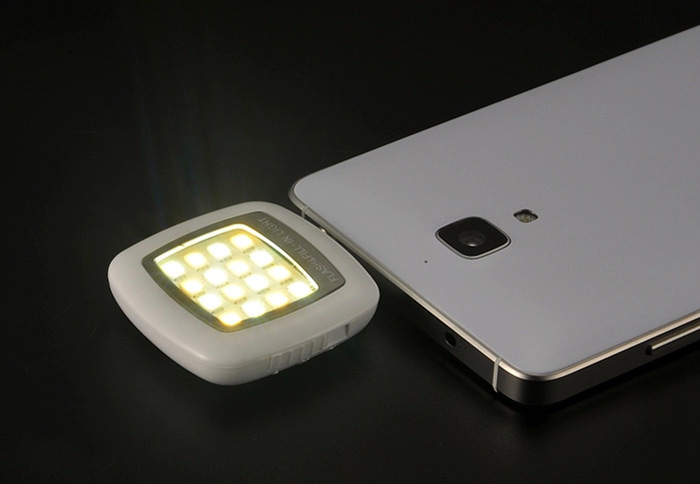 This portable led flash plugs into the audio Jack of your iPhone and is able to add lighting where the main flash cannot cope. Charged this miracle of technology via MicroUSB and is available in three colors: black, white and pink. The store GearBest portable phone flash costs a little more than 200 rubles and is available at this link. For lovers to experiment with the frame and not spend a lot of money can suggest a simple kit lens LP 3001, snap-on for iPhone or iPad with the help of clips. The kit includes wide angle lens macro and the lens “fisheye”. Before you start saying that the App Store is full of applications that can apply a Fish Eye effect to your images, look at price LP 3001: this kit costs less than most such applications. Can be bought here. Another interesting accessory is a monopod called the RK-03. However, the term “monopod” in the sense of “selfie-stick” there certainly will not apply. In fact before us is extremely clever tripod with a remote control, which will significantly simplify the process of taking pictures or video. 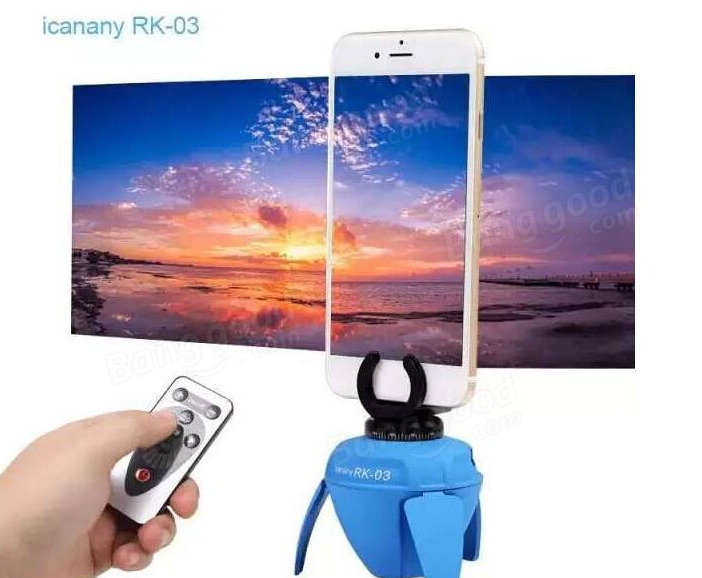 Put the iPhone on the tripod, connect the remote via Bluetooth and I can turn it as you want. This RC is the cameraman a little more expensive than the previous defendants, but a simple toy and it is unlikely to be called. Price — 2095 rubles, you can buy here. iPhone can’t shoot it in 3D, but it can be corrected by a simple and inexpensive accessory. Just attach it to any model of smartphone Apple — and get quality photos or video in a fashionable format. The price component of less than 500 rubles, is the desire to order and try, even if the final result, as is often the case, disappoint. Sold here, glasses are not supplied with the kit. The most expensive accessory from our selection was the case with removable lens Dhphoto, the maximum will bring photos from your iPhone to “mirror” quality. Worn on your smartphone a elegant black case with bracket, which need to mount the removable sets of lenses. Select the desired lens is done by turning the turret mechanism, which hides a three lens: macrolens for shooting small objects, CPL lens for landscape photography and lens F/50 for high-quality portraits. To remove the “like a boss”, you have to pay to put about 5,500 rubles. Dhphoto be purchased at this link. We hope you will appreciate our initiative and we in turn hope that our recommendations will allow you to make the most of their iPhone. 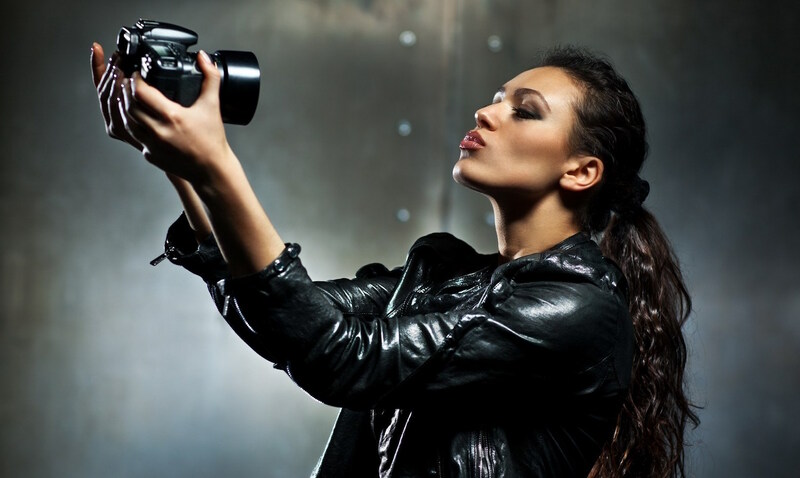 Of course, this list is far from complete, and we would be grateful if you share it in the comments links to accessories for mobile photographers that you are interested in. I would also like to know what category of products you would like to see in our next article. Previous story Do we need 4K display in the iPad Air 3?